How time flies!!! When I was editing this, I honestly was amazed at myself with how much weight I have lost since the time I went to Korea last year for Charis Beautiful Journey in Seoul. At the time, I still didn't have cholesterol problems, so I ate without thinking much. I also still wasn't dying at my former job, so it was a happier time. I remember this day and everything we ate vividly, and we had so much fun. Since we were told that we'd be at a theme park, I thought of wearing something whimsical-ish like overalls and a cute sweater. I look much fatter than the fat self I already was as it was cold and I was wearing about 3 layers of clothing. This is a set of overalls from Fashion Nova, and my sweater is from H&M. Breakfast at the Grand Mercure was THE BEST. I totally love their grilled mushrooms! The shrimp dishes were also the best. 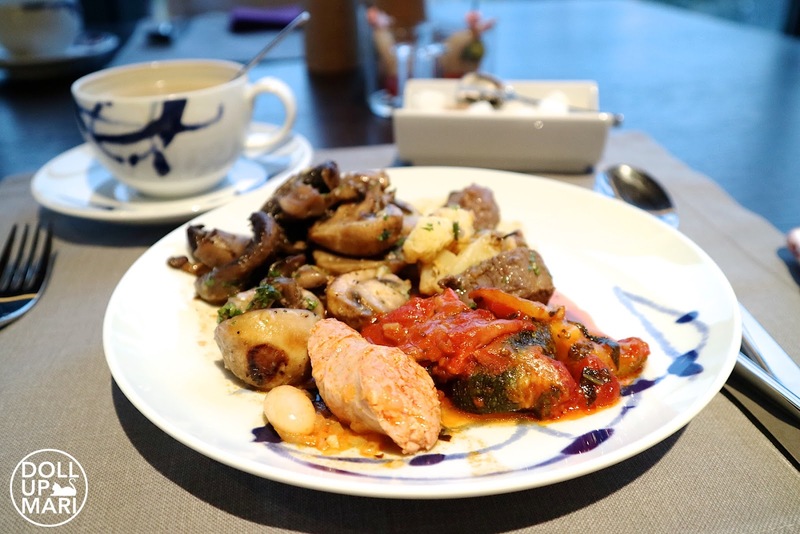 It left as good as an impression as what the breakfast at Lotte Hotel left. I apologize for my tired looking skin here!!! It was sooo cold and dry, and I was only sleeping about 2 hours per day for the whole trip, so skincare and makeup can only do so much. 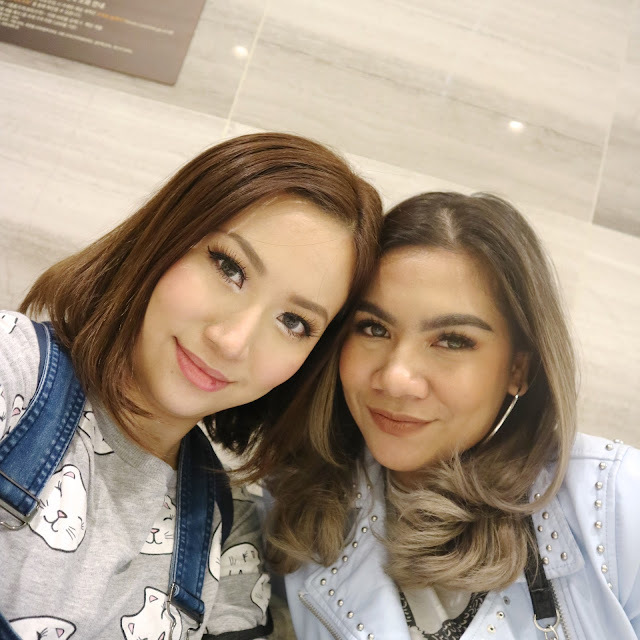 My main look was to go for a candy pink lip and to tame my bob into a Korean looking bob. 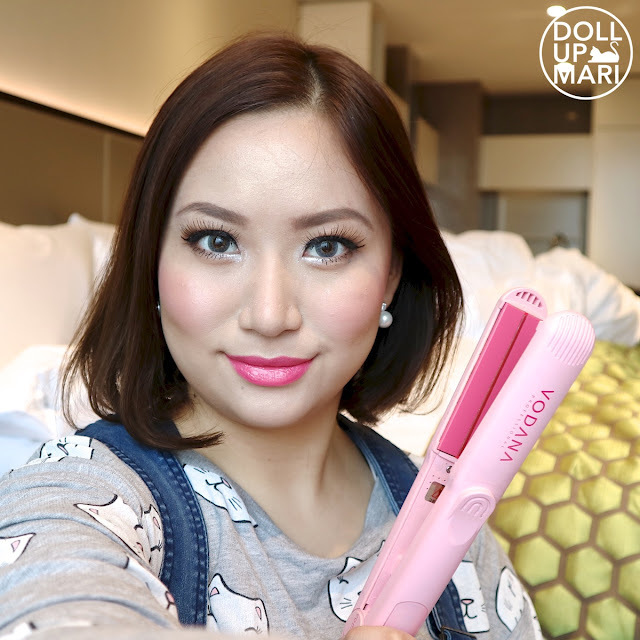 I used my Vodana soft bar flat iron, and in general, it's the only one that works into making C waves as it has a silicone band in the middle of the iron that allows for the iron to really have good traction on the hair. And finally, we're at Lotte world!!! The indoor area is sooo pretty. and there are already so many things to do! 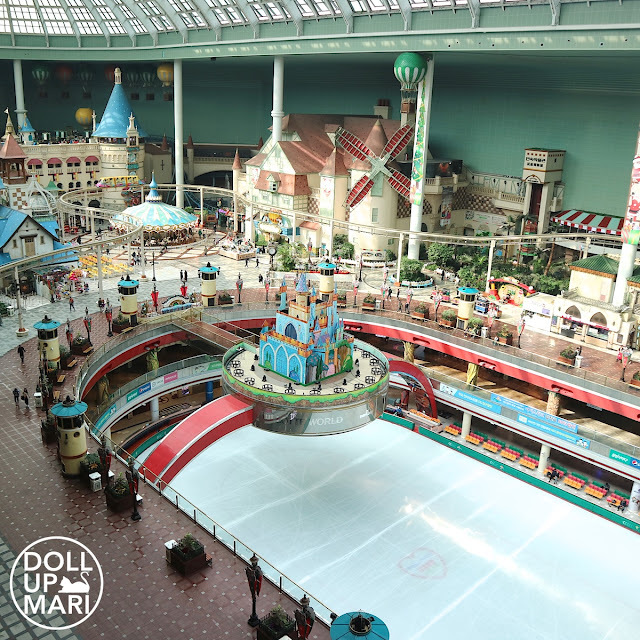 This part is actually the largest indoor park in the world. 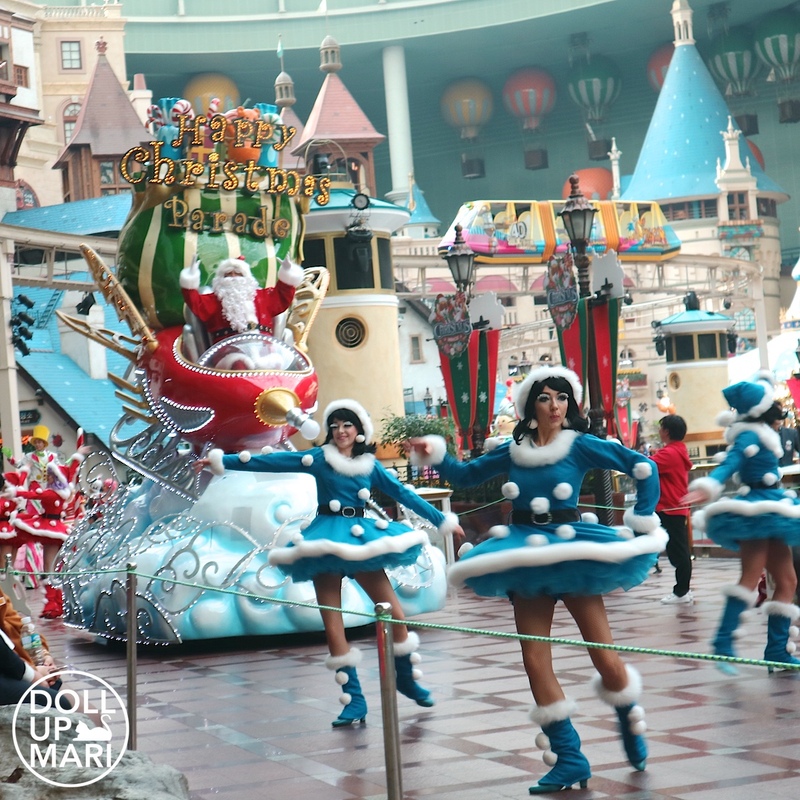 I highly recommend Lotte world mainly because of this. Lotte Word is within Seoul proper, so for little kids, the travel time is shorter (assuming you're in Seoul as well). To add, because the indoor area is already super big, your money won't go to waste should it rain. 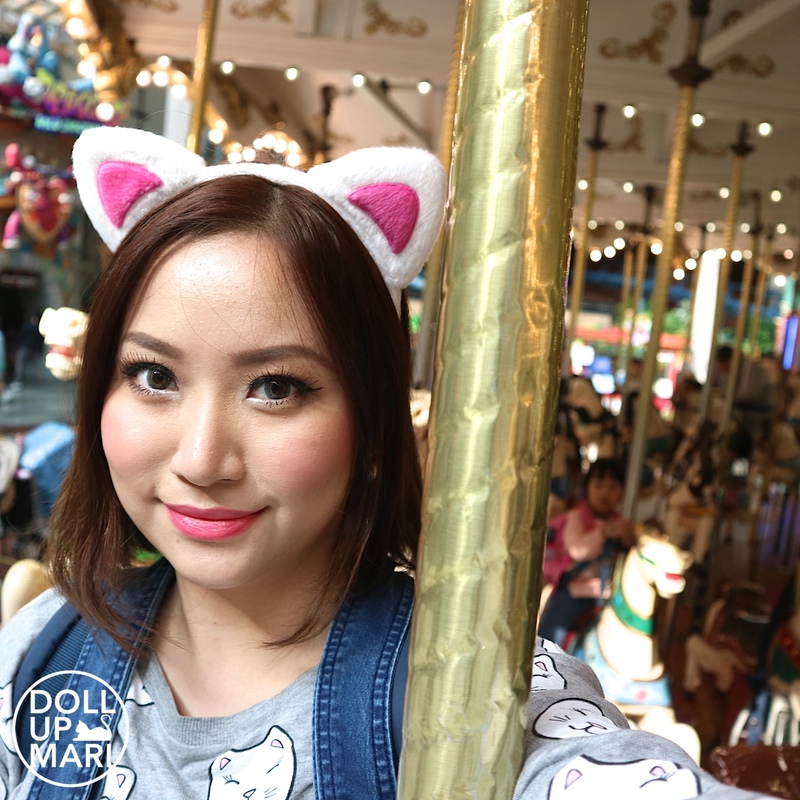 Here' a photo of me near the uber popular carousel. 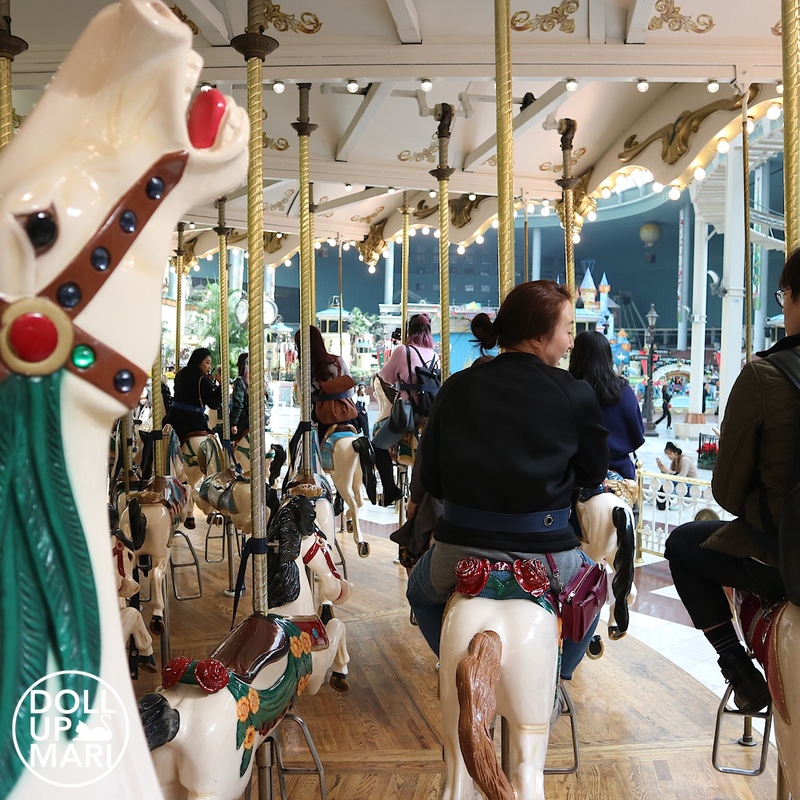 This is the same carousel that appeared in Stairway to Heaven, which is why everybody wasted no time taking photos by the carousel. I got touristy and took a photo from inside the carousel. And yet another touristy photo from the carousel. The shops were too hard to resist!!! I bought a whole lot of headbands for all our nieces because they were all just so cute. The stuffed toys were also so cute. Most of the headbands were ar 7000won, which I think is much cheaper than Disney park headband prices which usually will equate to about 20000-23000won each. 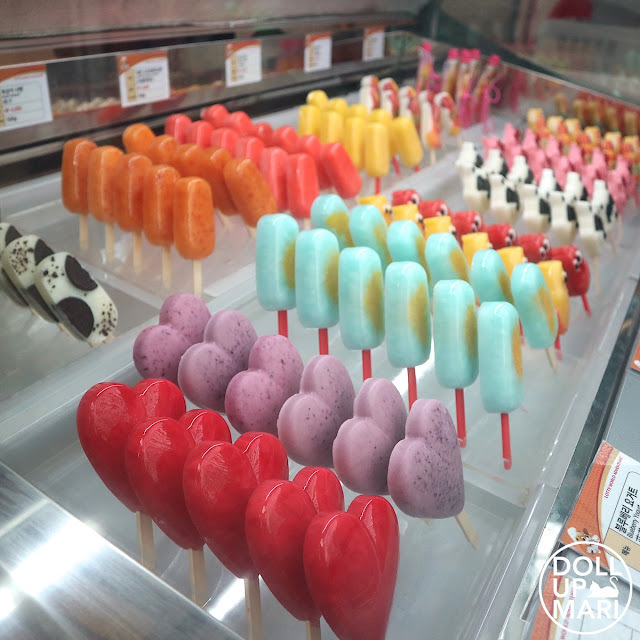 It was already cold when we were in Korea that it was just nice to look at these cute popsicles. They probably tasted as good as they looked! 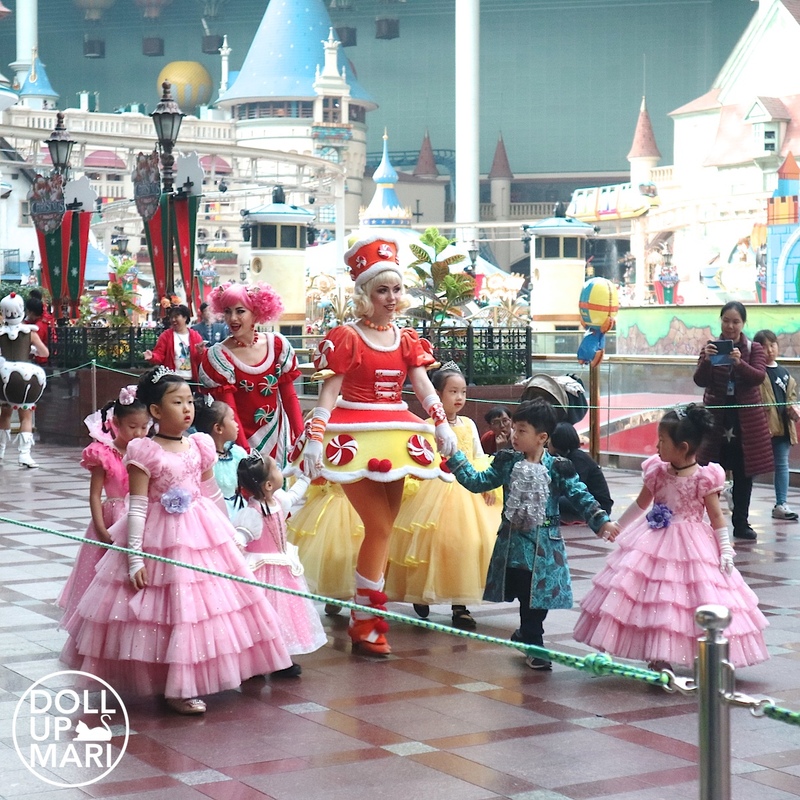 As the last Beautiful Journey was done in November, they already had a lot of Christmas activities going on, mainly with a very festive Christmas parade. They even had young visitors dressed up for the parade! The castle is sooo pretty!!! They had lotsa crazy rides, but since I'm not a fan of scary rides, I took the time to enjoy the whole area in general. All the trees were so beautiful as it was autumn time. I love the energy of this photo!!! It perfectly captured the air of autumn. I can't describe how, but it just did. As well as the overall energy of the place with the kids behind me. 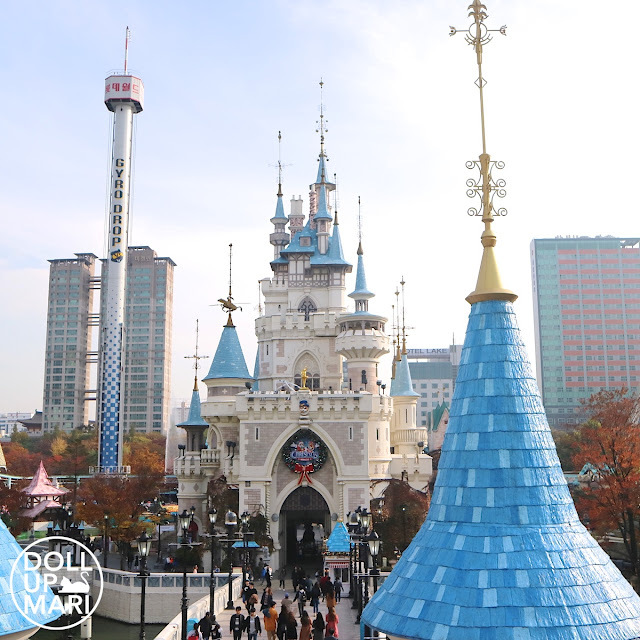 Quickly, let's transition to another Lotte property! We also visited Lotte Tower, but of course, I already took off my kitty headband. 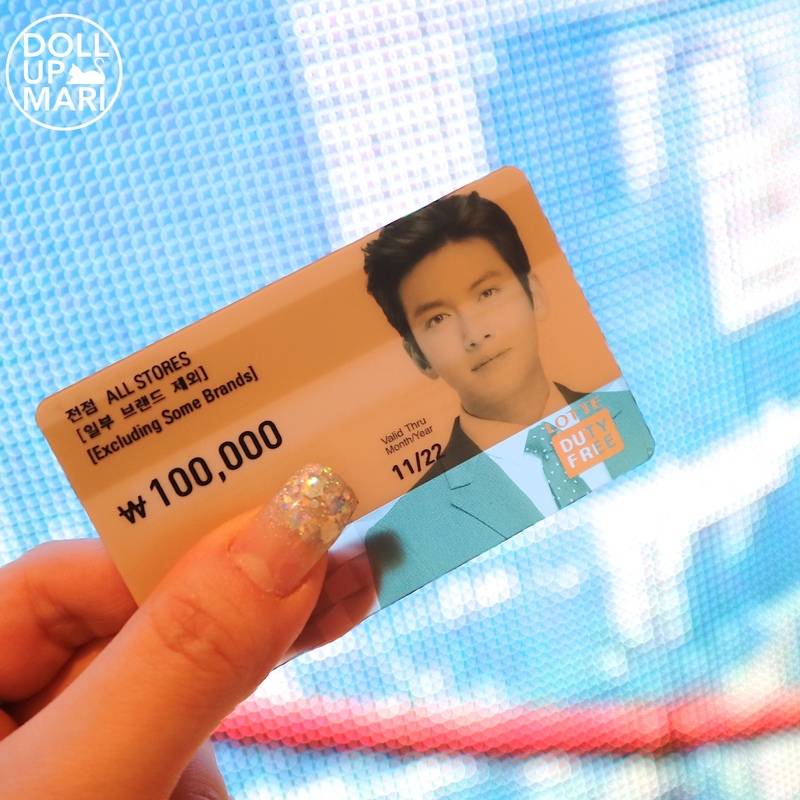 They gave us a 100,000 won gift certificate! 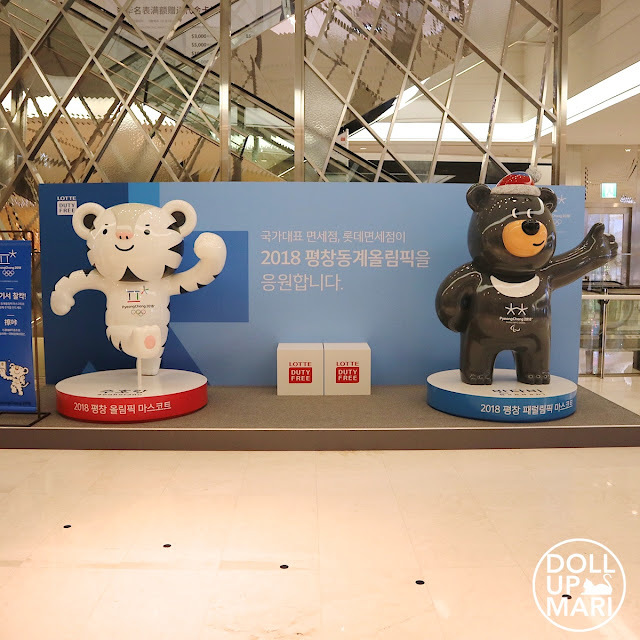 At Lotte Tower, if you will purchase domestic products, you can claim it there. 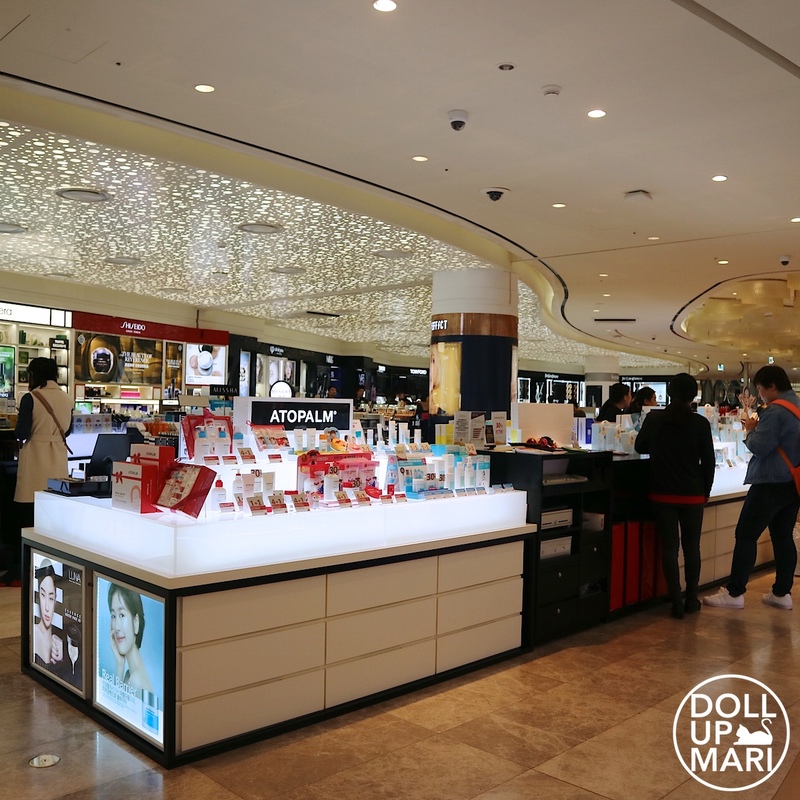 But if you will purchase foreign cosmetic products, they will make you pick them up at the claiming area at the airport. So that's one thing you might want to keep in mind. It was indeed makeup paradise. Everything about beauty is already summarized on one floor! Almost every major brand you can think of has a store here. At the time, Korea was getting ready for the winter olympics, so there were plenty of olympic mascot setups all over the city. This was one of them. 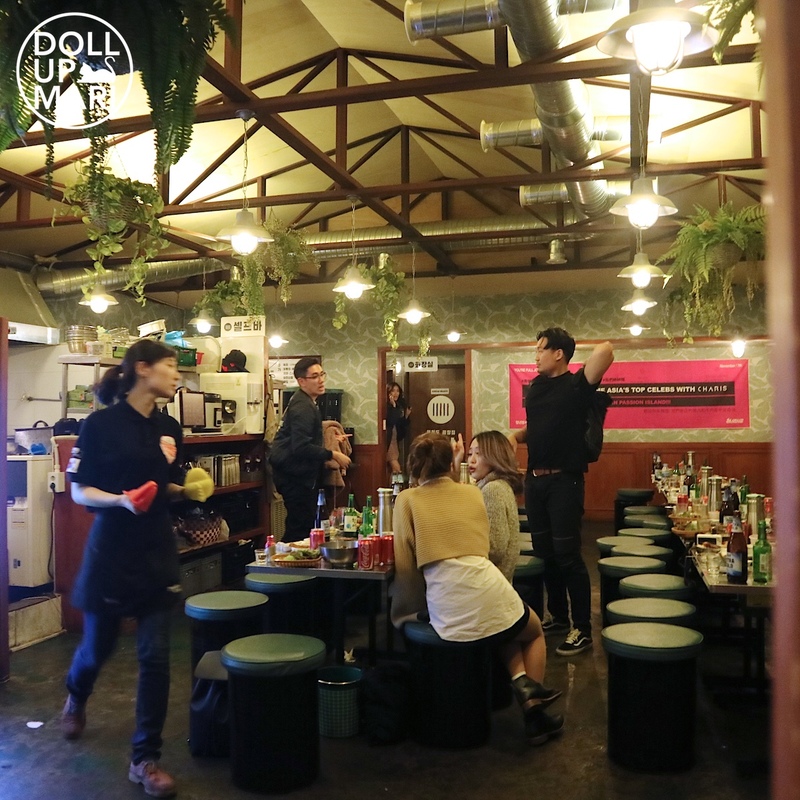 To end the exciting day, the other girls even got more excited as we made our way to Yongsan for the best BBQ and drinking experience in Korea. Since I don't drink, I was mainly excited about the meat. It's the little taverns like these that serve the best food. No frills, just really good grub. While everyone was busy getting drunk, I got so excited to come back to a place I love so much! The last time around, we also went to Yongsan for drinking, and while I was taking a walk outside, this place caught my attention. It's called Duwhadang. 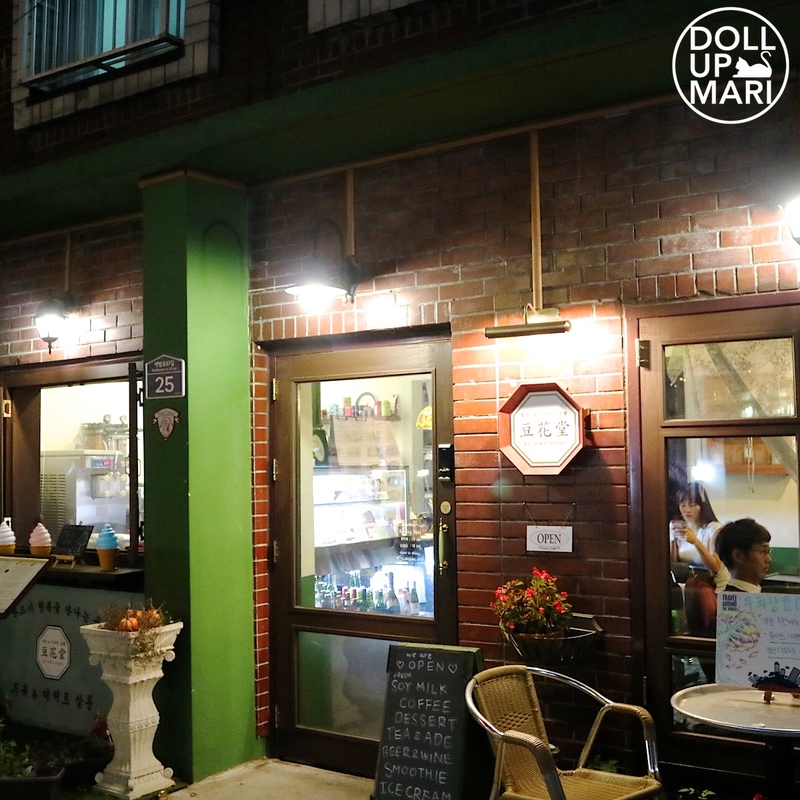 When I went in, it was a quaint café specializing in soy products. Looking at this cup brings back so much memories! I swear, this has been the best artisanal soy beverage I have tried. I have never seen anyone take soy as seriously as they do. 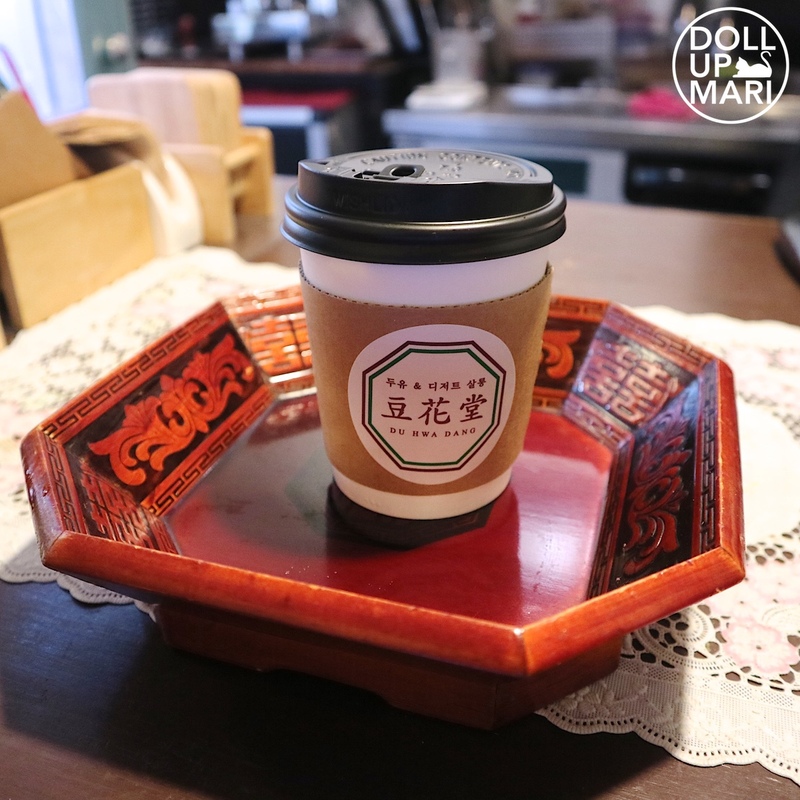 I definitely wanna fly back to Korea right now just to have this. And of course, it's selfie time! With Anne Clutz. A group photo with Crisha, Anne and Raiza. And with Jihan whom I've missed so much. That's it for day 2! New Items from Ever Bilena! Snag Maybelline Deals at Shopee! Snag Garnier Deals at Shopee!! !